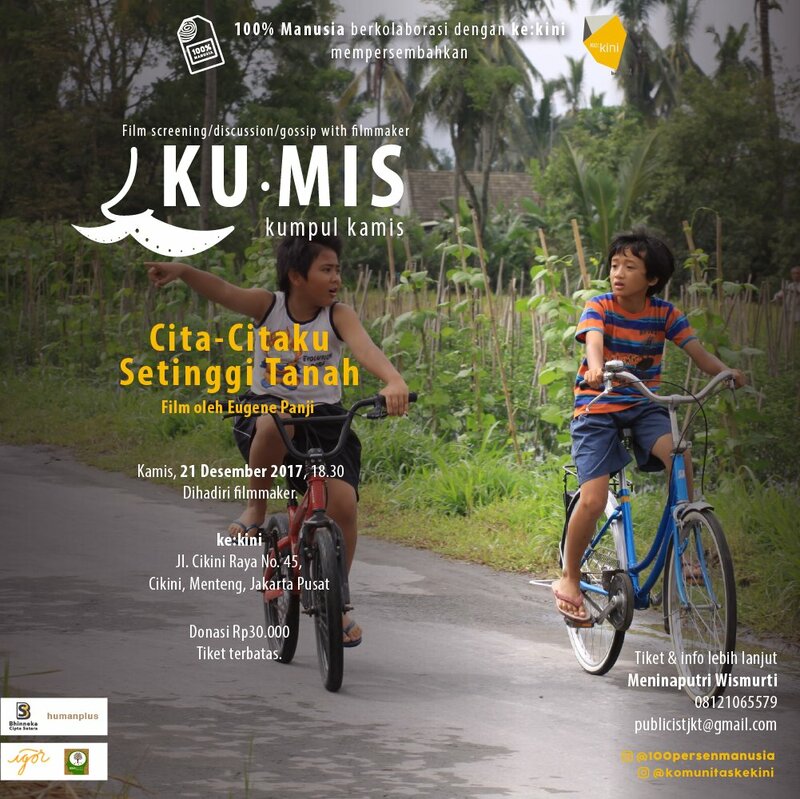 This December, Ku.Mis [Kumpul Kamis] will return with Cita-citaku Setinggi Tanah (Stepping on the Flying Grass), a movie by Eugene Panji. The film tells a story about Agus, a primary school boy from a humble family living on the slope of Merapi Mountain in Muntilan, Central Java. When a teacher asks the students to write an essay about their dreams, Agus expresses his dream to be able to eat at a Padang Restaurant. Encouraged to actualise his dream, Agus struggles to do odd jobs so that he can collect money to eat at a Padang Restaurant. Agus has to resist his urge to buy snacks or toys, and even has to stop playing with his three best friends Sri, Jono, and Puji and work, delivering tofu and chicken.